The World Cup is held since 1977 and organised by the World Darts Federation. The tournament is opened for ladies in 1983 and in 1999 the youth is also finally invited. The tournament is known as the official World Championship but hasn’t got the profile of either the BDO or the PDC World Championships. It is a gathering of players from all parts of the World who meet and play in a very friendly atmosphere. 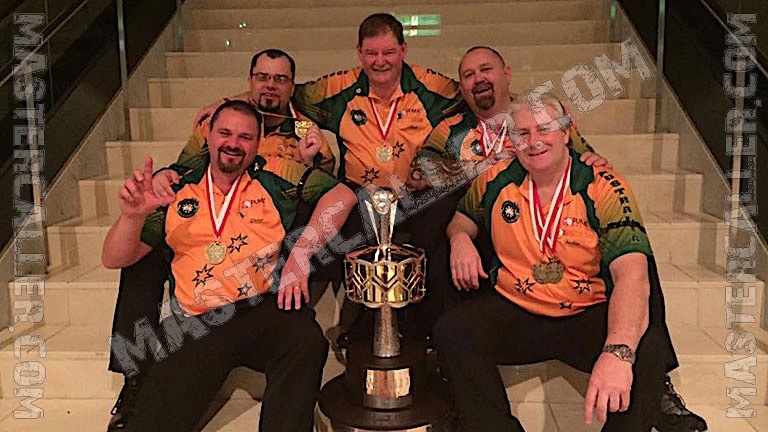 When it comes to the overall ranking of the WDF World Cup, England proves the strongest in fourteen of the twenty editions. Between 1979 and 1991 they win the Cup seven times in a row. Only Wales and Netherlands break the hegemony of the English with both three victories. The Dutch victories are in a row between 2005 and 2009 where Wales win next to the first edition in 1993 and 1997. Eric Bristow and John Lowe with seven World Cup victories are the most successful players followed by compatriot Martin Adams who has won this title five times.